Royal Dutch Shell has been a long-time advocate of pricing carbon, and the head of its Canadian arm says this strategy needs to be maintained regardless of what happens south of the border. 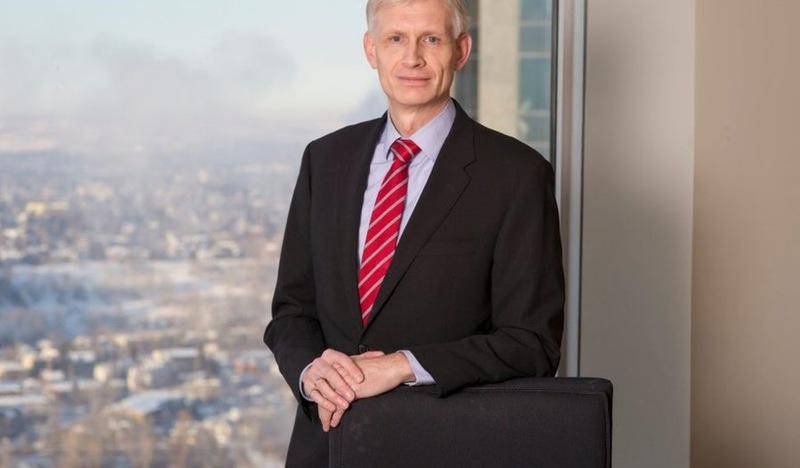 “If [Donald] Trump chooses to not go down the path of a carbon tax, then I think we should not lose our resolve…we should stick to our values as Canadians which say that we need to do something to protect the environment,” Shell Canada country chair Michael Crothers told media touring the company’s Scotford complex near Edmonton on Monday. While Alberta and Canada should continue the current path towards increased carbon pricing, the system needs to be flexible in order to maintain competitiveness for resource developers. Crothers added that while Alberta and Canada should continue the current path towards increased carbon pricing, the system needs to be flexible in order to maintain competitiveness for resource developers. Carbon pricing will play a key role in the future of a technology centrepiece at the Scotford site—the Quest carbon capture and storage (CCS) project. After just over a year of successful operations at Quest, the first oilsands-based CCS project, Shell Canada is feeling confident the “proof points” are coming out to help the provincial government warm to the technology—even though the company is looking at scaling up in the future without further public funding. The Quest project started operating about 13 months ago and has so far captured and injected about 1.3 million tonnes of carbon dioxide, Shell says, up from original expectations of one million tonnes per year. “CCS is working. It can be used for large-scale emissions reduction,” says Tim Wiwchar, Shell’s oilsands portfolio manager, who led development of Quest. That’s good news for a sector of low-carbon technology development that says it’s not getting the support it needs in order to play its role in reducing global emissions under the terms of the Paris climate agreement. “The International Energy Agency has found that the world needs to capture and store almost 4,000 million tonnes per annum (Mtpa) of CO2 in 2040 to meet a 2°C scenario. It is likely to be much more for 1.5°C. Current carbon capture capacity for projects in operation or under construction sits at approximately 40 Mtpa,” Global CCS Institute chief executive officer Brad Page wrote in a the group’s latest summary report. Page says that CCS will only be widely deployed when a supportive business case can be made, and it’s not just a question of cost since the technology is already cost-competitive with other CO2 reduction techniques. Wiwchar says he has encountered three camps of people who question investment in CCS: those who see it as an enabler of further fossil fuel development, those who see it as a non-commercial science experiment, and those who don’t believe in human induced climate change and see CCS as a waste of money. The Alberta government has not been supportive of CCS under current premier Rachel Notley. It was former premier Ed Stelmach’s government that in 2011 signed the cheque for $745 million to help fund Quest, which was followed by $120 million from the Government of Canada. CCS is not a piece of Notley’s climate leadership plan, which marks its year-anniversary today. Wiwchar says the success the company has seen at Quest, including larger storage volumes than expected and reduced capital and operating costs, may help reverse the situation. But the next phase of Quest will be without government support, he added. Instead the project would be based on a combination of carbon pricing and utilization of CO2 for end products to close the gap on commerciality, he said. That next phase won’t happen for five or ten years, Wiwchar says. “The technology exists, it’s just a matter of finding that right utilization and that right commercial construct. Right now the focus is on trying to understand how to operate this more efficiently.” The Global CCS Initiative highlights the success at Quest in its new report, including it in its summary of “significant headway” that has been made on CCS globally. However, the Australia-based group the successes are in stark contrast with serious challenges. “We sit at a crossroads. The projects materializing now are the result of government policy initiatives developed towards the end of the last decade,” Page wrote.